At Michael Kearney Medical Furniture, the objective of our various Orthopaedic Chairs is to position the skeletal and muscular structure of the body in a posture and alignment that places it in minimal stress situation. 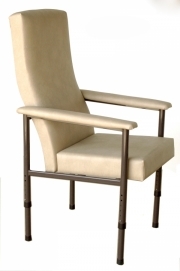 Michael Kearney Medical Furniture takes great care though design and fabrication to carry Orthopaedic designed chairs aimed at back and body support right through its range of chairs and seating solutions. 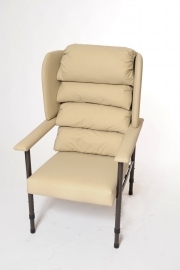 Our Chairs can offer optimum levels of support to the back and lumbar areas whilst placing the limbs in comfortable and healthy positions for work or relaxation. Our wide range of Orthopaedic chairs is designed to balance the weight and movement of the body in the most effective way.Hereby reclining pressure on joints and muscle groups and avoiding the resulting aches and pains. 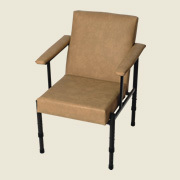 We at Michael Kearney Medical Furniture have many options and solutions with our range of chairs from height adjustable chairs, removable arms, waterfall backs, tray options and pressure distribution foams built in to our chairs. Low Castellated Foams, Medium Visco Foams, high gel foams, visco foams and much more options are available.